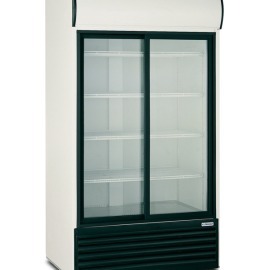 Framec’s fully renovated combi cabinet -chest freezer. In top condition and ready for use. AHT chest freezer. In superb condition and ready for use. 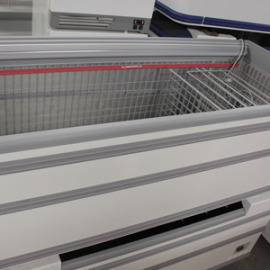 Fully renovated Norpe EUROMAX 195M multideck. Can be supplied in any wanted colour and branding. Many models in stock ready for use. Remote multideck manufactured by Norpe. 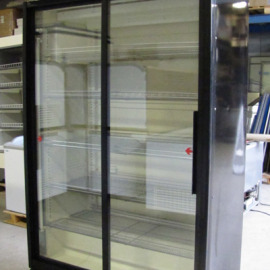 Sevral items in stock, fully renovated and ready for use. Prices starting from 900,00 / meter depending on fitting. 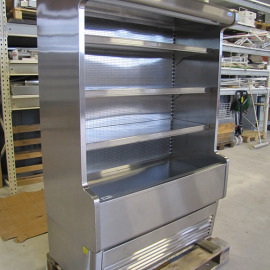 Stainless steel multideck manufactured by Norpe. Fully renovated and ready for use. In top condition. 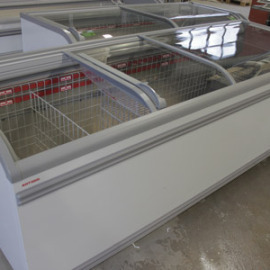 AHT Paris 185 (-) / (U) compact freezing island for smaller store or as gable for island. High quality and practical solution for freezing. 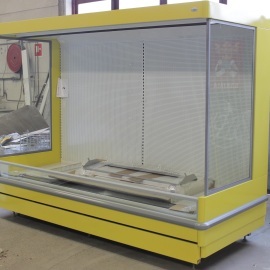 Used refurbished and warranty maintained AHT Paris 250 U, low power, functional and reliable island with sliding doors. 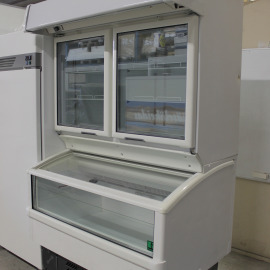 Used refurbished and warranty maintained AHT Paris 210 U, low power, functional and reliable island with sliding doors. Helkama coolers are made to last using high quality materials. 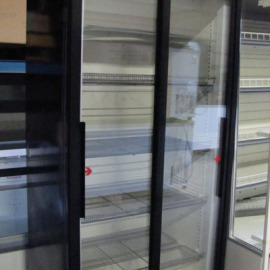 C5G fits perfectly event to a smaller store with capacity of 222pcs of 0,5L cans. 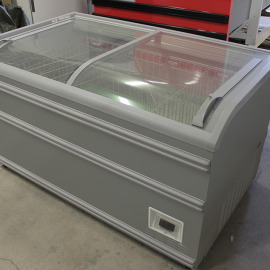 Helkama coolers are made to last using high quality materials. C8G fits perfectly event to a smaller store with capacity of 318pcs of 0,5L cans. Helkama coolers are made to last using high quality materials. C10G fits perfectly even to a smaller store with capacity of 478pcs of 0,5L cans. 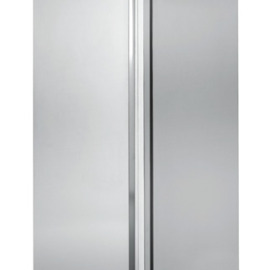 Metalfrio D 372 M4C refrigerator which fits even in to smaller space. 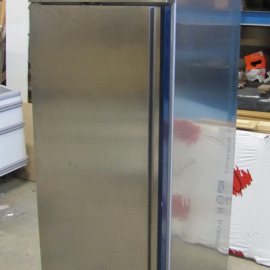 ISA 700 RV TN refrigerator. Because of the stainless steel finishing this piece of equipment is timelessly elegan and easy to keep clean. Rounded corners inside make cleaning insides easy. Temperature inside is fan assisted which stop operating when door is opened. 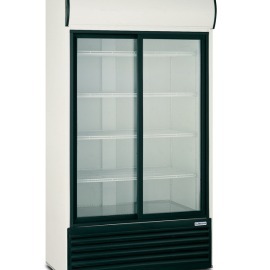 ISA 700 RV TB upright freezer. Because of the stainless steel finishing equipment is stylish and easy to clean. Storage space inside has rounded corners for easy cleaning. 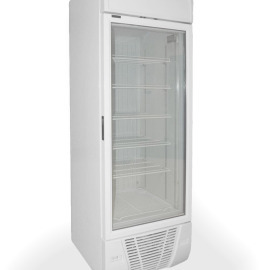 Temperature is dynamically controlled with fans which stop operating when door is opened. 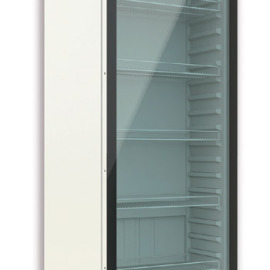 New Metalfrio Cool 600 is easy and trustworthy refrigerator for soft drinks and beverages. 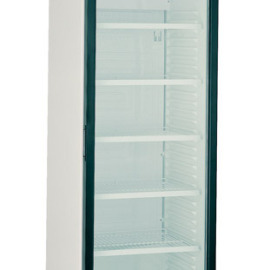 Klimasan VF500 dynamic upright freezer. 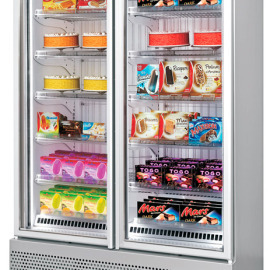 Klimasan VF372 vertical freezer with lit canopy for product highlight. 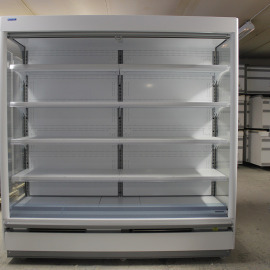 Klimasan S 900 SC DD is rigid cooler with sliding doors. 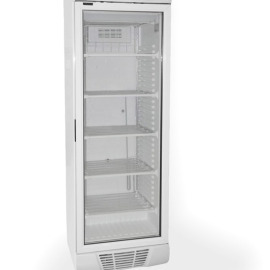 Klimasan S 1200 SC DD is high capacity and powerful cooler. Because of the sliding doors this fits even to a smaller stores. In our opinion this is Amazing piece of hardware! 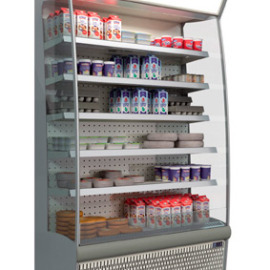 ISA Slim 100 RV TN is Plug-In cold shelf for packaged and dairy products. Great product visibility! 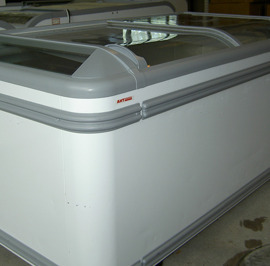 ISA Sky RV TN is cooler which is best suited as bottle cooler with great product visibility. 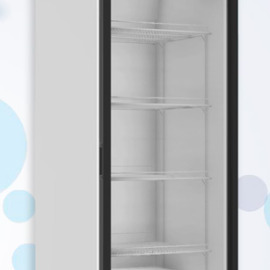 Sky RV TN is dynamically cooled refrigerator with top of the line ISA quality. ISA Blizzard 2P RV TB. 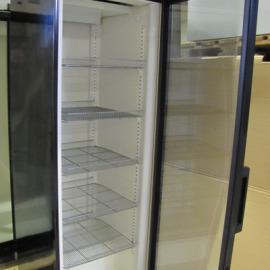 Vertical display with ventilated refrigeration, evaporator fins located on the bottom of the tank for frozen products (TB), with glass doors to upper display area. 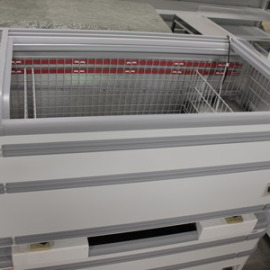 One piece construction of plastified sheet metal, insulated with 60mm thick ecological (HCFC and HFC free). Polyurethane foamed with CO2. Adjustable shelves with rack system, three different angles of inclination. 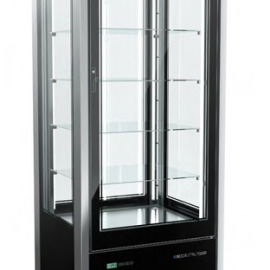 Double glazed doors, heated and equipped with automatic close; silver anodized aluminum profile and handle. LED lighting on the sides and front middle vertical post. Height adjustable feet. Control panel on top of the cabined, equipped with electronic control of temperature and defrost. Integral compressor, removable from the front of the cabinet.